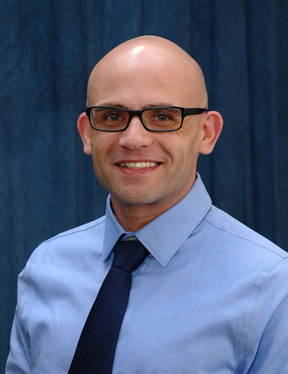 Dr. Corey B. Russell is Board Certified in Foot Surgery and a Board Certified Wound Specialist. Dr. Russell is a Diplomate of the American Board of Foot & Ankle Surgery, a Fellow of the American College of Foot and Ankle Surgeons and a Fellow of the College of Certified Wound Specialists. 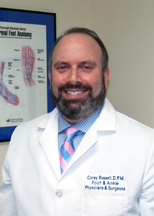 Dr. Russell is currently the President and Trustee of the Northwest Ohio Academy of Podiatric Medicine, and Past President of the Ohio Foot and Ankle Medical Association, serving over 680 members. He has been featured on the "Ask the Expert" segment on channel 13 ABC Action News. Dr. Russell is active in the training of Podiatric medical residents at Mercy-St. Vincent Medical Center. 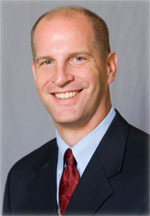 Dr. Russell is a 1995 graduate of the Ohio College of Podiatric Medicine. He completed a three year surgical residency at Millcreek Community Hospital in Erie, Pennsylvania. Dr. Walkovich is Board Certified in Foot Surgery and in Rearfoot and Ankle Reconstructive Surgery. He is the Chief of Podiatry in the Department of Orthopedic Surgery at St. Vincent-Mercy Medical Center. Dr. Walkovich is a diplomate with the American Board of Podiatric Surgery and a Fellow with the American College of Foot and Ankle Surgeons. Dr. Walkovich has been active in the training of Podiatric Physicians at St. Vincent Mercy Medical Center since 1997, and is currently the only Podiatric Surgeon performing Total Ankle Joint Replacements in the Toledo area. Dr. Rostislav Denenburg is a native of Kiev, Ukraine. He was raised in Toledo, Ohio and is a graduate of the University of Toledo. After working as a Registered Nurse for several years in Sylvania, Ohio, Dr. Denenburg decided on a career in Podiatric Medicine. He graduated from the Kent State University College of Podiatric Medicine near the top of his class. Dr. Denenburg completed a 3 year residency in Podiatric Medicine and Surgery at Coney Island Hospital in Brooklyn, New York, serving as the chief resident in his final year. He is certified by the American Board of Podiatric Medicine. Dr. Denenburg is happy to be back in his home town serving the greater Toledo area.